You can improve meetings by de-emphasizing status. Apart from my first book, I haven’t written much about status at events. It’s time to revisit this important topic. I think about status at events as the relative levels of proclaimed or perceived social value assigned to or assumed by attendees. There are two key kinds of event status — let’s call them old-school and real-time. At traditional events, old-school status is implied in advance. Someone’s status is determined before the event by whether they’re speaking and the context. If you’re not speaking or leading a session you’re low status. In addition, keynoting is higher status than leading a breakout session. Program committees bestow old-school status. It’s public, and attendees have no say in the decision. Presenters and panelists gain status simply from being presenters and panelists. But there are other ways that a traditional conference promotes and telegraphs old-school status. At academic conferences, for example, ambitious graduate students buttonhole speakers in the corridors and ask smart questions at the end of talks, hoping to increase their visibility and future employment prospects. Similar schmoozing occurs at professional conferences. There can be public battles during presentation question times. How I greet (or ignore) a colleague signifies volumes about professional pecking order, not only to the people involved but also by witnesses veto the encounter. Traditional conferences, then, provide multiple opportunities for overtly and covertly promoting, adjusting, and reinforcing old-school status. But there’s another kind of status, one that leads to better conferences. 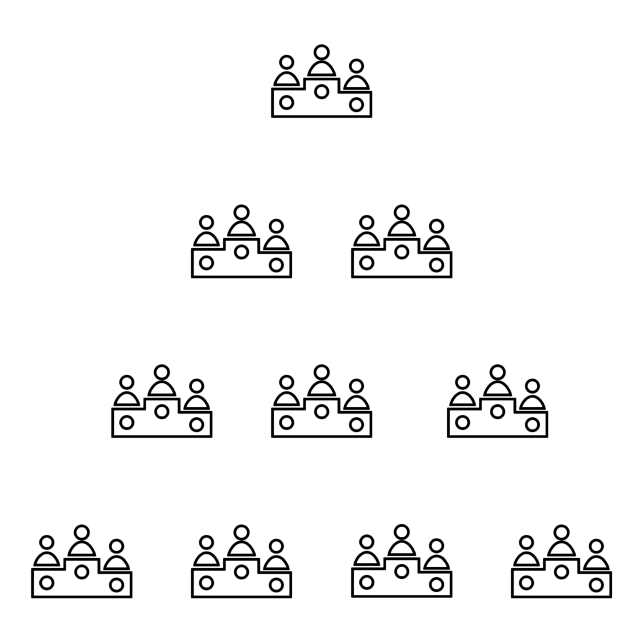 I design the participant-driven, participation-rich conferences I champion to provide maximal access to anyone who has something meaningful to offer. These events de-emphasize the importance of old-school status, replacing it with real-time appreciation of an individual’s skills, gifts, and learning. Unlike old-school status, real-time status is unique to and for each attendee, fluid, and context-sensitive. Unique: It’s different for each person present. It might be low or high depending on their assessment of my potential value due to my experience or expertise, or neutral if we’ve had no interaction. Fluid: It depends on whom I’m with moment to moment and what we’re doing. I could be learning from a conversation, giving me student-like status one moment, or sharing valuable information, giving me teacher-like status the next. Context-sensitive: In one session I may have a lot to offer, in another I may be a novice. In environments that focus on real-time status, status is not a one-dimensional construct that an outside authority bestows. Rather, the interactions that occur generate meaningful real-time status. Consequently, it’s a much richer reflection of the value of attendees to each other. The environment and the structure provided by the event design allows attendees to discover other participants and the expertise and experience that are personally valuable. Conferences that de-emphasize old-school status and support real-time status make it acceptable and encouraged for participants to define for themselves the issues, topics, connections, and interactions they want and need. As a result, they waste less valuable time listening to speakers talking about uninteresting topics. They make more useful connections than at an old-school status event. And they are more likely to be satisfied by their experience and, therefore, attend future events. That’s why you can improve meetings by de-emphasizing (old-school) status. This entry was posted on Monday, January 21st, 2019 at 6:36 am	and is filed under Event design. You can follow any responses to this entry through the RSS 2.0 feed.You can leave a response, or trackback from your own site. I’ve been to about 50 conferences and organized about 10. This was as good as it gets.